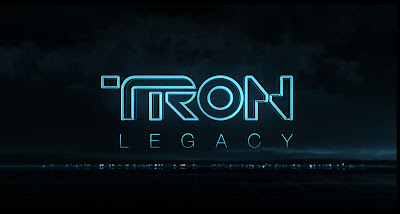 The released image of Jeff Bridges in "Tron Legacy" does not tell us not much at all. Mr. Bridges looks to be in some sort of futuristic or medical garb and quite possible has a Identity Disc on his back. He is either looking down on something or in contemplation. Outside of that, no other clues are given with the released image. Director Joseph Kosinski however, recently did an interview with MTV in which he gave a few hints that gives us a few more specifics (but mainly more questions). Kosinski said that Jeff Bridges is playing two characters in "Tron Legacy." He is returning as Kevin Flynn, but will also play a newer version of Clu from the original film. He said, "He's playing Kevin Flynn, the character from the original film, and he's playing Clu, the avatar that Kevin Flynn created in the 1980s. I'd say he's Clu 2." Hold the phone, Clu 2? What exactly does that mean? Kosinski was kind enough to elaborate. He explained, "There was a Clu in the first film who looked like Jeff but was very simple in terms of his abilities. He's very stiff. Clu 2 is a second incarnation of Kevin's avatar. He doesn't only look like Jeff, but he can think like him too. So it's a whole new level of artificial intelligence."